On October 17, flags were flown at half-staff at Tiananmen Square and Zhongnanhai in mourning for former King of Cambodia Norodom Sihanouk, who passed away in Beijing on the 15th. Ruling from his country’s independence from French Indochina in 1953 until he was deposed in 1970, Sihanouk supported the Khmer Rouge until its leaders forced him out of office. He lived in exile in North Korea and China to the early 1990s, returning to Beijing frequently from 1993 on for medical treatment. Faced with declining health, Sihanouk abdicated to his son in 2004 and spent much of the rest of his life in China. According to the newspaper Southern Daily (@南方日报), China also lowered the flag for Stalin, Ho Chi Minh, Kim Il-Sung and several other foreign leaders who were either communist or connected to the Soviet Union. Netizens reacted to this national period of mourning with a mixture of anger and confusion. Many had never heard of this “old friend of the Chinese people” before. Others asked why the same respects were not paid to the Chinese people who have been the victims of natural and man-made disasters in recent months. ju11hua: After the [Wenzhou] train crash, the flag did not fly at half mast, after the Beijing floods, the flag did not fly at half mast, nor after the Shaanxi traffic accident, nor the great Tianjin fire,* nor the Yiliang [Yunnan] earthquake… A foreign layabout dies, and we fly the flag at half mast. This friendship leaves me speechless. 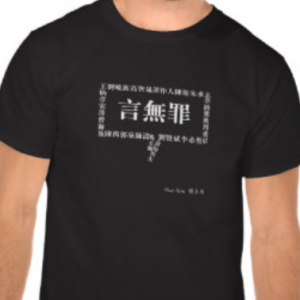 * CDT added the translation of the phrase 天津大火没降半旗 (“nor the great Tianjin fire”), which is absent from the Danwei translation. 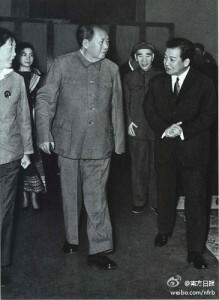 Norodom Sihanouk with Mao Zedong. 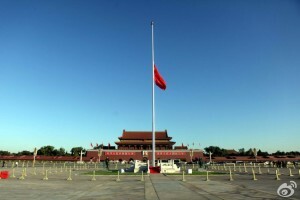 PlaywrightFanXin: The flag flies at half-staff in the capital, yet the citizens of the country don’t know why. This fact alone is the biggest joke in the world. You tell me: is there anything more ridiculous? Why is your whole nation in mourning? I don’t know! Blacklisted: The national flag is like a totem and the flag-raising ceremony is like totem worship. Stay far away from witchcraft and take good care of yourself! You can laugh at it from afar, but don’t get mixed up with it! Raising, lowering, lowering, raising–it’s nothing but interest groups amusing themselves. 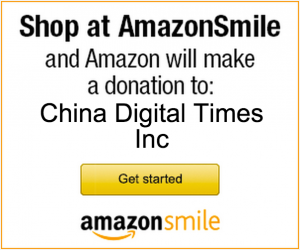 LawyerQianJulei: Is this a diplomatic joke? Or is it an internal affairs joke? XingfaHanFriend: I honestly have no idea what good this Cambodian King-Father we support has ever done for China or for the world! GuotaijunAnchenbin: I don’t have the energy to comment on this. ILikeLaifen: What people? The Celestial Empire doesn’t have a people. We only have the trouble-making masses. How stupid would it be to lower the flag for them? Aflie: I’d just like to meekly ask: Who? lOvELion: Sigh… Just don’t raise it at all. Translation of all comments excluding @ju11hua’s by Little Bluegill.